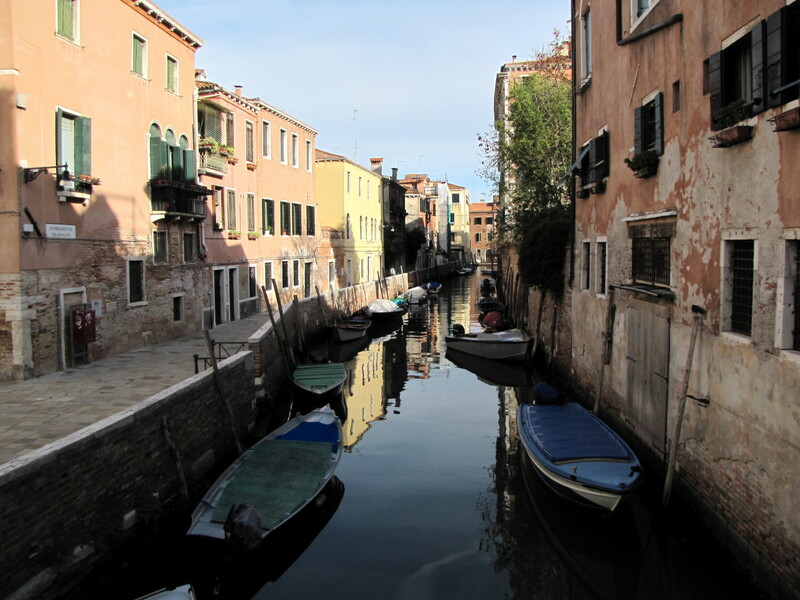 When looking for accommodations in Venice, one is presented with literally hundreds of options and it can be an overwhelming process to find a place that meets your needs and budget. After an extensive search that involved reading literally dozens of reviews, we stumbled upon the most wonderful little bed and breakfast located in the most convenient of locations. We stayed at B&B You and Me for four nights in September of 2012. If you are looking for a room that is clean, comfortable, meticulously decorated in the Venetian style, and convenient to all of the major sites in Venice, then look no further. Bed and Breakfast You and Me is one of those hidden gems that when you find it you feel like you just hit the jackpot. Not only was this B&B everything we hoped for and beyond, but it didn’t break the bank. 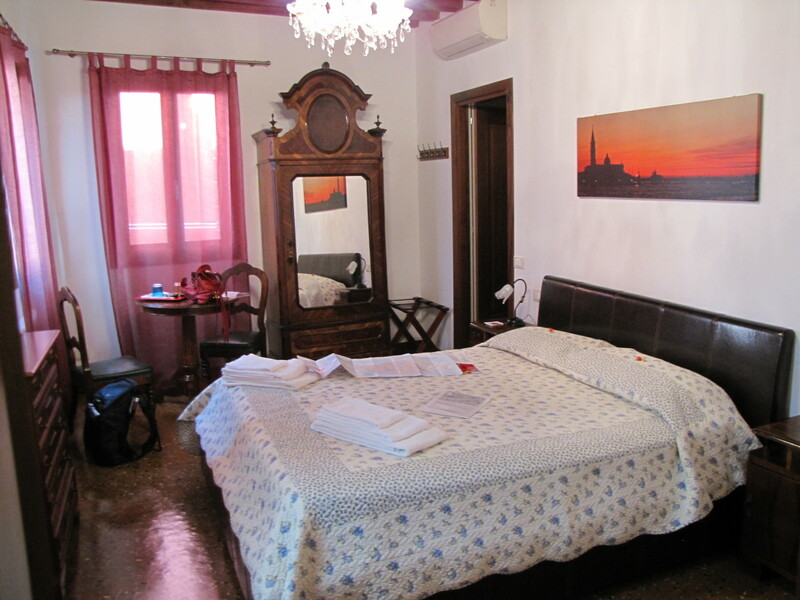 With rates that vary from 60 to 140 euro, depending on the season, this B&B is just a superb valve in an otherwise expensive Venice. B&B You and Me is owned by Stefania Spagnol who transformed the location from her former home into a destination. 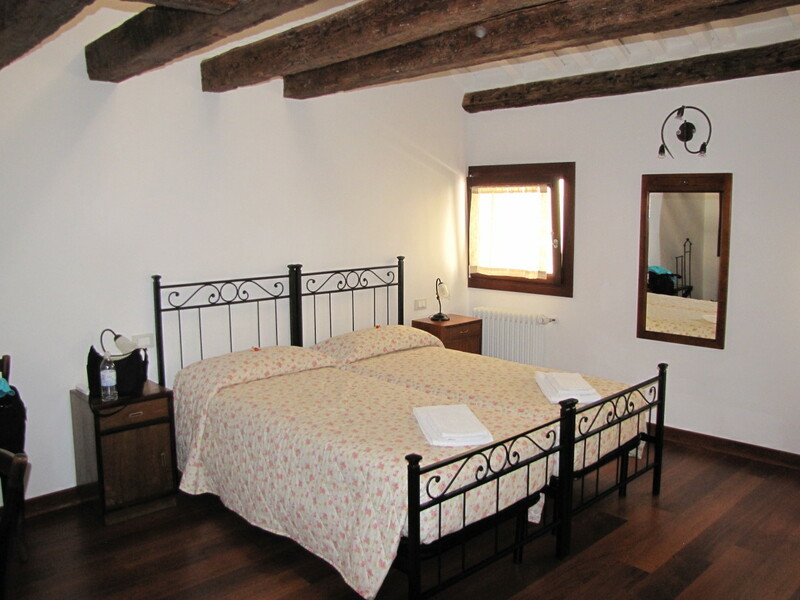 Now completely renovated to accommodate guests, the B&B has three beautiful rooms called Tosca, Mimi, and Carmen. The names are in honor of three very well-known heroines of the famous La Fenice opera house in Venice. Each room has a private en-suite bathroom, air conditioning, internet access, a safe, and satellite TV. B&B You And Me also has a common room that is used to serve breakfast and there is a small kitchen that can be used by guests. Breakfast consists of a variety of cereals, pastries, yogurt, bread, fruit, and cookies. A variety of beverages are available including juices, bottled water, tea, and coffee. 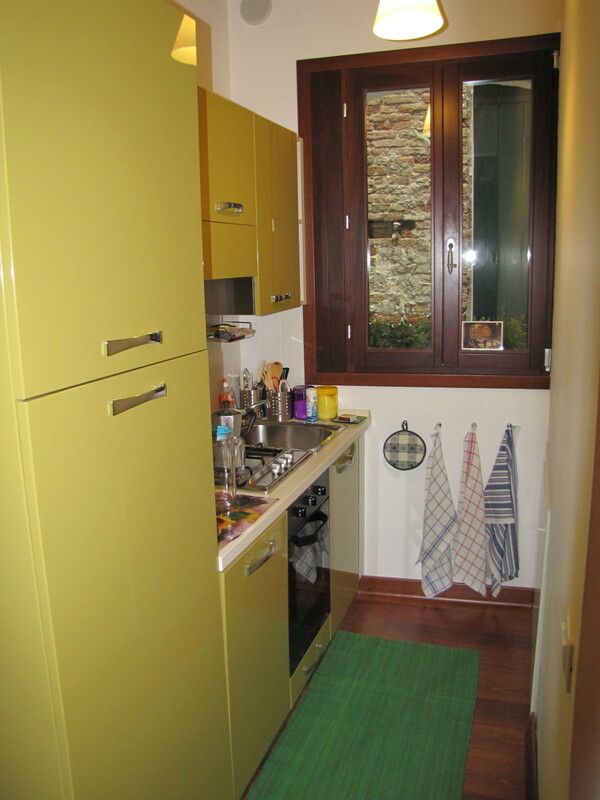 The kitchen has a small stove that can be used if you so desire and a refrigerator that is constantly stocked. Stefania goes out of her way to let you know that you are welcome to stop by the B&B for snacks, drinks, and anything that is there throughout the day. This is a wonderful feature of this B&B and you will be surprised how much this saves you just in water alone while walking Venice. Should you have a need to do laundry during your stay in Venice, there is also a laundry room, another great benefit to this wonderful B&B. Don’t forget to grab a biscotti or two before you head out. One of the most important things to me when traveling is the cleanliness of the place and this can make or ruin any vacation. 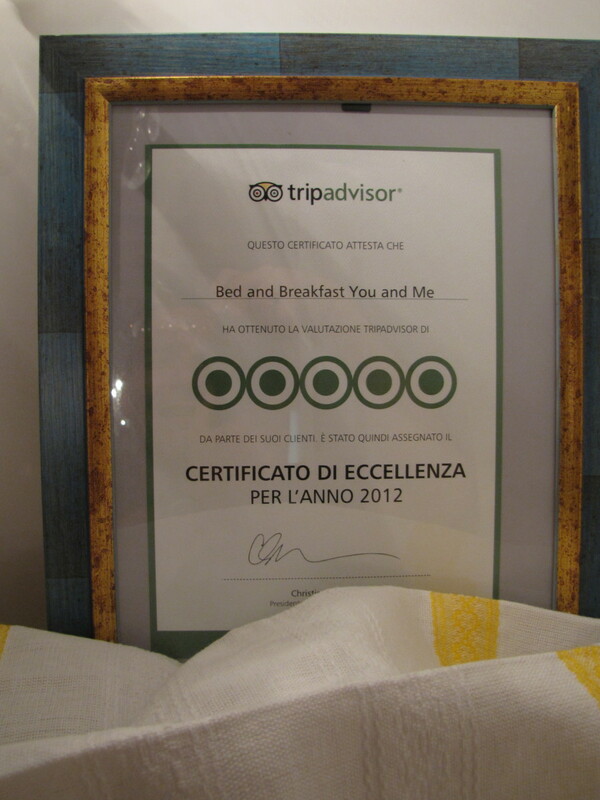 B&B You and Me far exceeds any expectations in this respect. The young man who cleans the site is hard working, takes great pride in his work, and is one of the most pleasant and friendly guys that you will meet in Venice. 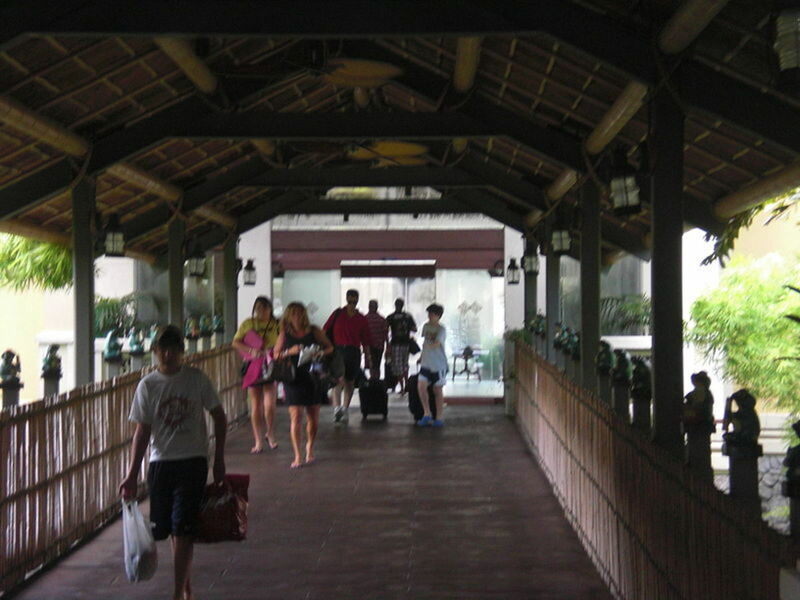 The rooms are cleaned daily with fresh towels provided and the bathrooms are spotless. As the summer season in Venice can be very hot and humid it is important to consider air conditioning when selecting accommodations. B&B You and Me has this covered with well functioning units that will keep your room at your desired temperature. 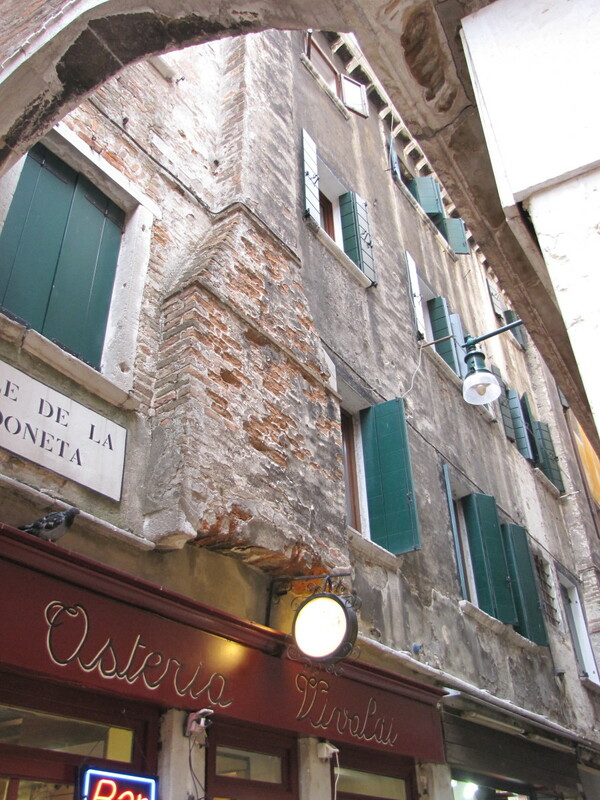 And if you are concerned with the outside noise level at night, which can be a very valid complaint in Venice, the B&B has the best windows and shutters available to keep your room nice and quiet. At no time during our four-night stay was noise a problem. Location can be very important when searching for accommodations in Venice and B&B You and Me has what I feel is the ideal location. 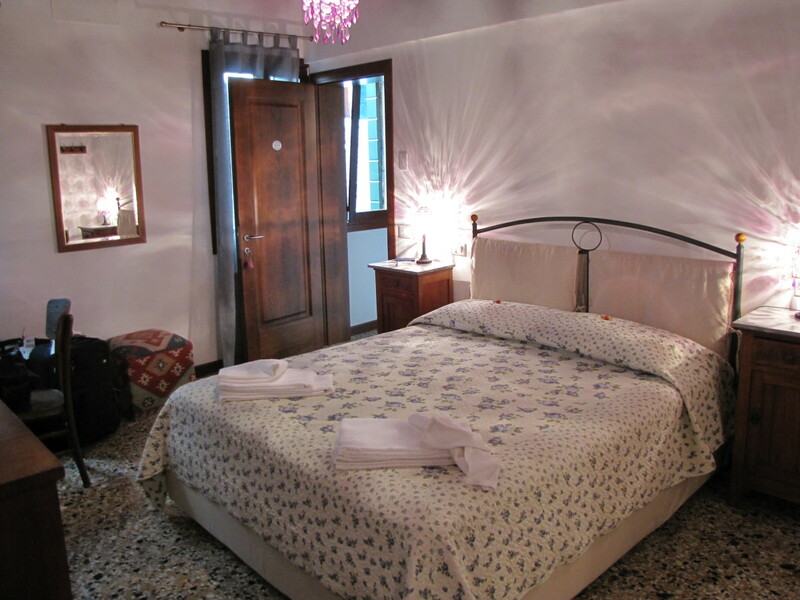 The B&B is located on the second and third floor of a typical Venetian building about a ten-minute walk from the Rialto Bridge. From the B&B to San Marco Square is probably no more than a fifteen-minute walk. And if you are interested in seeing the morning outdoor market in Venice it is also no more than a five-minute walk away. 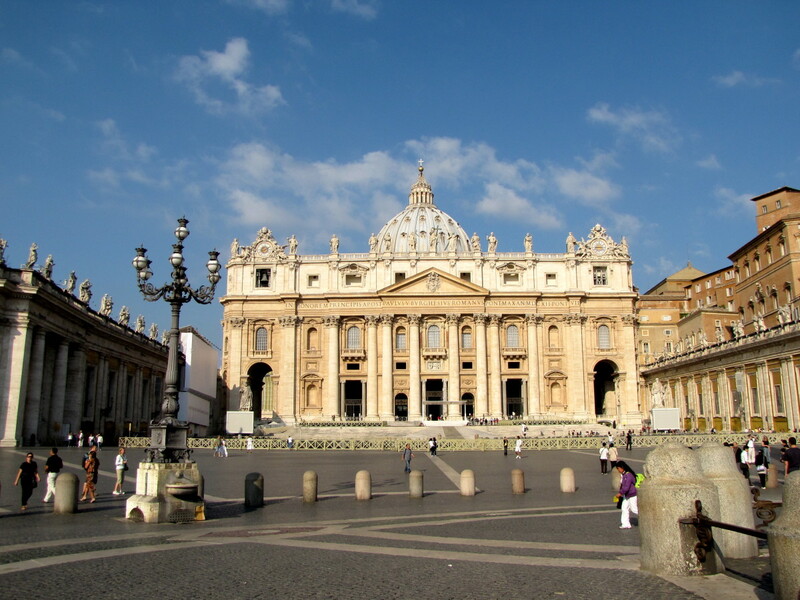 Of more importance is the fact that the B&B is located just five minutes from the San Silvestro waterbus stop. This is convenient because the vaporetto line1 stops here, which makes for an easy trip to and from the train station and Piazzale Roma where the buses and taxis come into Venice from the airport. The San Silvestro waterbus stop is typically much less crowded than the Rialto station, which is just up and across the canal. The waterbuses may be crowded, this is Venice let’s remember, but you won’t be waiting in a line and fighting people to get on the waterbus from this station. Luggage on wheels will help you get to and from you accommodations. 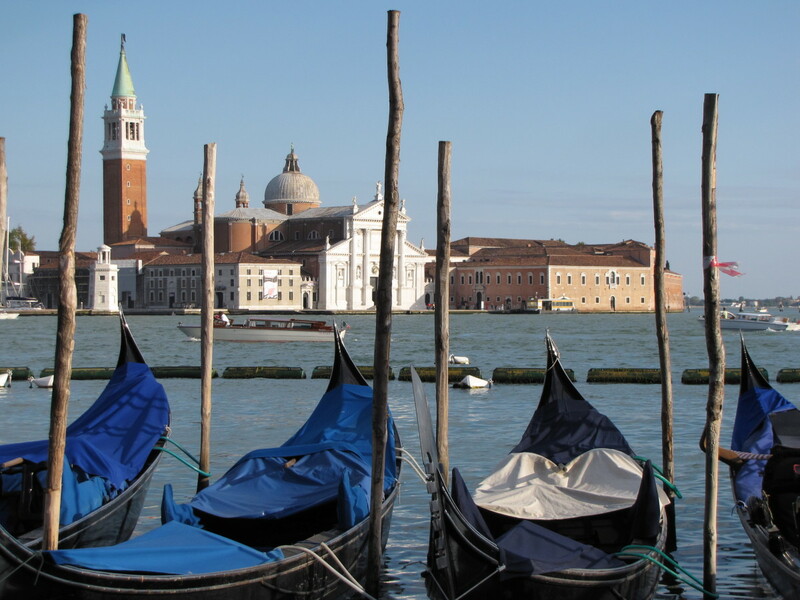 Be sure to pack light when traveling to Venice. One last thing which may be of concern to you when traveling to Venice is the availability of an elevator to get to the upper floors of a building. 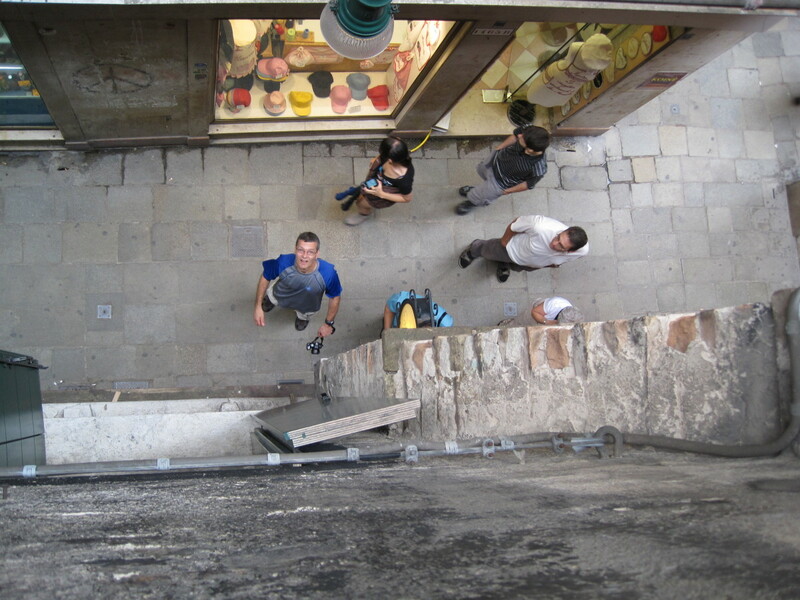 Most buildings in Venice simply do not have an elevator and the age and design of many buildings prevents this. If you are traveling with large, heavy bags, this may be an issue for you. B&B You and Me does not have an elevator but please do not let this deter you from staying here. The best way to deal with this is to pack light, which is probably the best piece of advice I can give you when traveling to Italy. Check the refrigerator before you retire for the evening, there may be a surprise waiting for you. 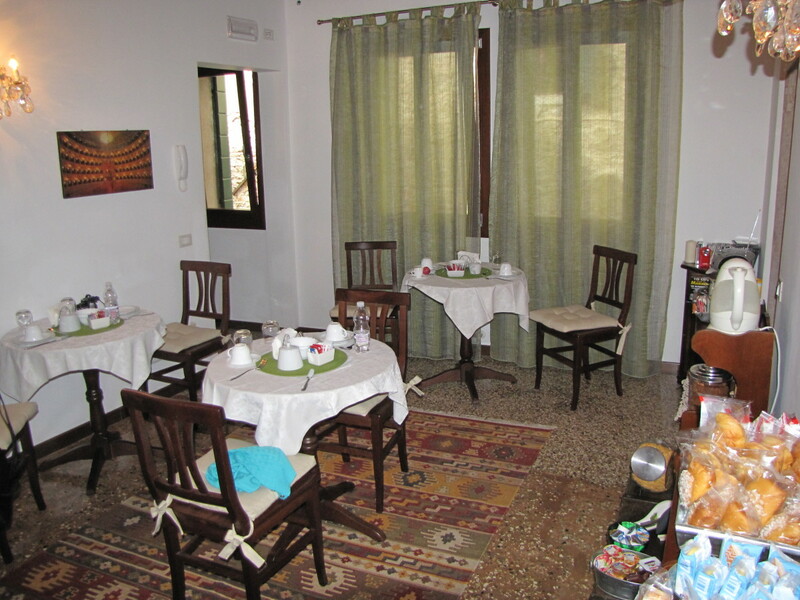 One of the things that separates this B&B from other places is the warmth and hospitality of the owner, Stefania. She is just so welcoming and is an absolute joy to deal with. The pride she takes in her B&B and her attention to detail are clearly evident. 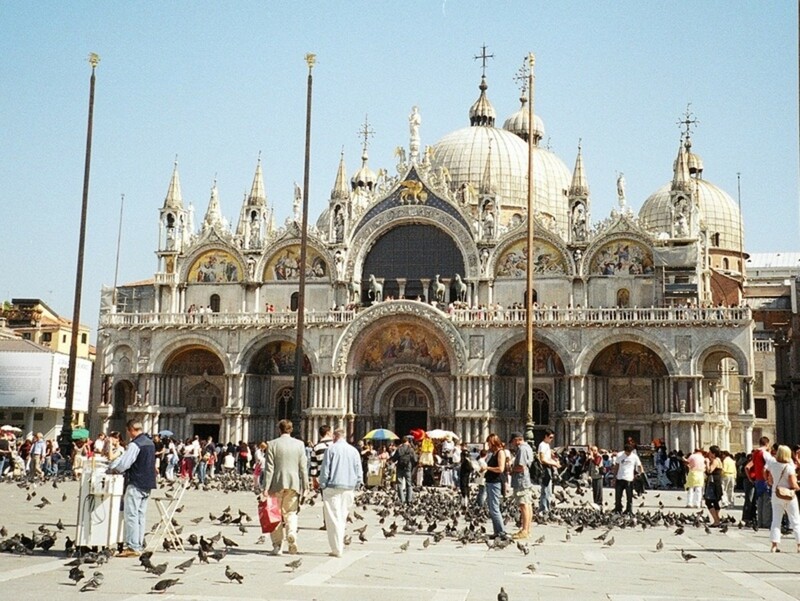 She is a wealth of knowledge when it comes to Venice as she grew up here and still resides in Venice. I don’t know how you can do any better in Venice. Enjoy your stay. Hopefully, you found this review helpful. Hi Mona's Mas. Thank you. This B&B is a gem. The owner, Stefania, has thought of every detail to make this place a true home away from home. 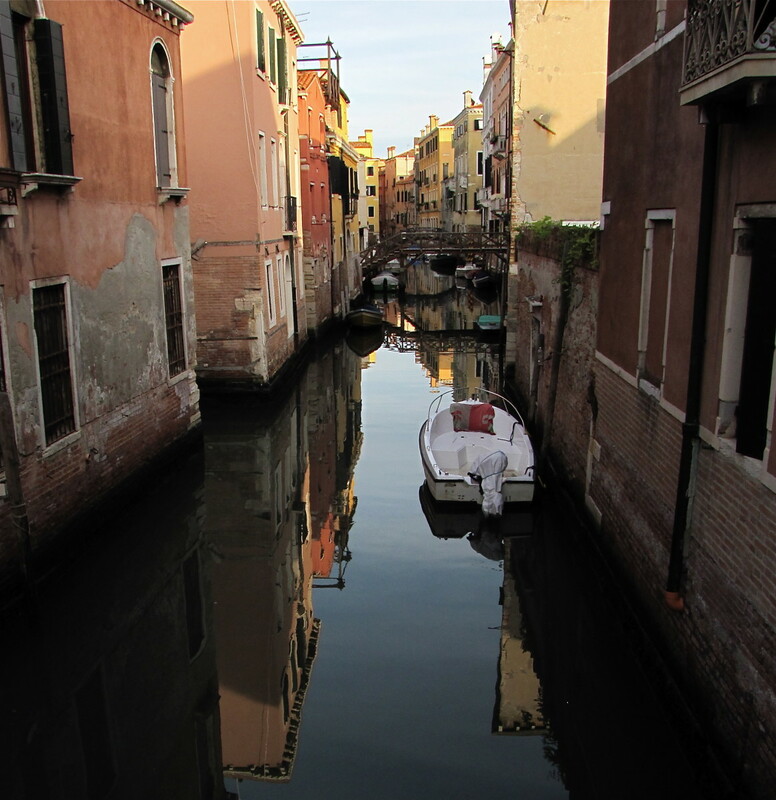 If you ever visit Venice, stay at B&B YouandMe, you will not regret it. Thanks so much for stopping by, have a great day. I love your little "tips", very genuine. Fun hub! Thanks Suzie. You will enjoy this B&B when you get to Venice. Stefania is wonderful and thinks of everything. Venice can be very expensive so this was a great find. Many thanks as always for the support, share, pin, etc..
What a great hub for all visiting Venice to keep. When we go I am definitely checking this out, sounds like our sort of place and seems well located for walking around and water taxi spots. Accommodation is known to be expensive in Venice so this is a real find! Always good to have first hand experience to go by too! 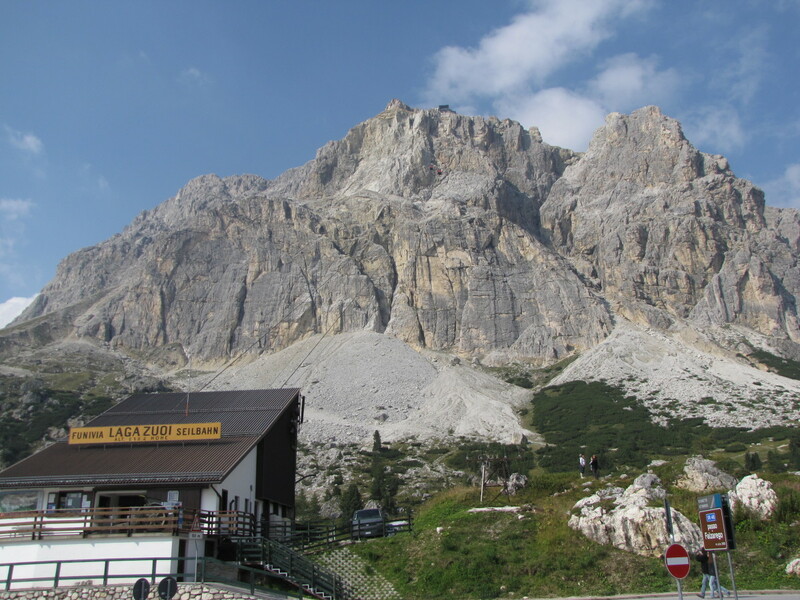 Great pics and info on an Italian B & B that ticks all the boxes! VU, all the rest, shared and pinned for future ref!! Hi Jack. Welcome to HubPages and thanks for stopping by to read. Write about what you love, which sounds like traveling. Me too! Read hubs from other writers here to get a sense of what layout works and looks appealing. Try to include original pictures, maps, polls, etc., anything to help engage the reader. I will take a look at your first hub and leave you a comment on what I think, I'm sure it's a great read. 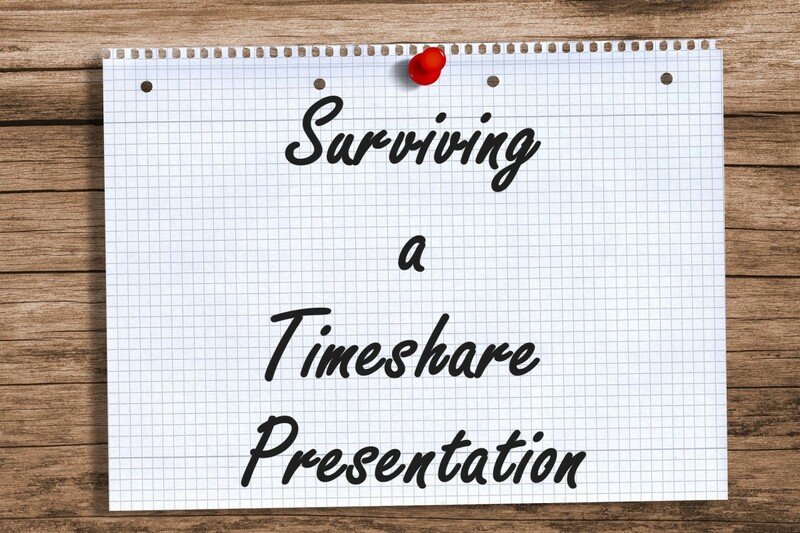 Really like your blogs, descriptive and entertaining. I am trying to do the same type of thing with my travels around Europe. Would you have any suggestions for me? Hi Carol. Really great to see you here. You are missed. This B&B was really something special. If you ever visit Venice try to book this place, you will not be disappointed. Thank you for stopping stopping. Hurry back. i am still here to comment a bit especially for loyal followers. I particularly enjoyed this hub and I love all bed and breakfast places. Great pictures and always enjoy my virtual travel with you. Wow Bill! What a fantastic and awesome review! Fantastic layout and very well written. I surely would wish to stay here if I happen to visit Venice. B & B looks just as homely as one's own home. Voted up, useful and awesome. 5 stars for you my friend. Sharing this hub. Hi Gail. Thanks so much for visiting. We had a wonderful stay in Venice. Appreciate the vote, etc. Loved the photos and the review itself which was very comprehensive and hit all the important things that a tourist needs to know. I enjoyed this cyber visit. Good luck in the Rigorous Review Contest. Hi Crystal. Thank You. I'm ready to go back! 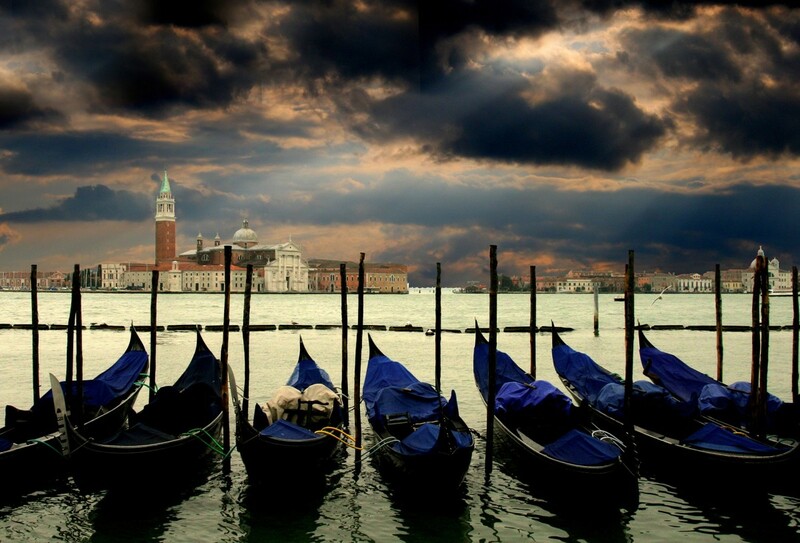 By the way, did you see the news from news from Venice on the flooding? That's why we go in September. Hi Abby. Thanks for stopping by. Hopefully you get to Venice someday soon. There is no other place quite like it. Very much appreciate the visit, have a great day. Hi Peggy. If you do make it to Venice someday do consider staying at B&B You and Me. It really is that good. Many thanks for the vote, share, etc.. Thanks Bill. Until you suggested I enter the Review Contest I had not considered writing reviews of the places we have stayed so thank you. This place in Venice and the Masseria Quartarella were both outstanding. Many thanks again for the support. Good review. I'm ready to visit! Voted up. What a terrific review of a B & B in Venice that I can only hope of dreaming to stay someday. Each of the 3 rooms looks appealing and from what you say the hospitality is truly genuine making each guest feel really special. Will keep it in mind if our travels ever take us that direction. Up votes and another 5 stars! Sharing! And yet one more place to add to my bucket list. At this rate, I might empty that list by the time I am 140 yrs old. :) Great review as always; I sure hope you win one of these contests. Hi Sandra. Yes, as I was writing this earlier today I was watching the flooding in Venice. Wow is right. If we've met the same Stephania Spagnol she is a sweetheart. She was just so hospitable, a delight to deal with. Thanks so much for stopping by, the vote and share. How timely your hub is. 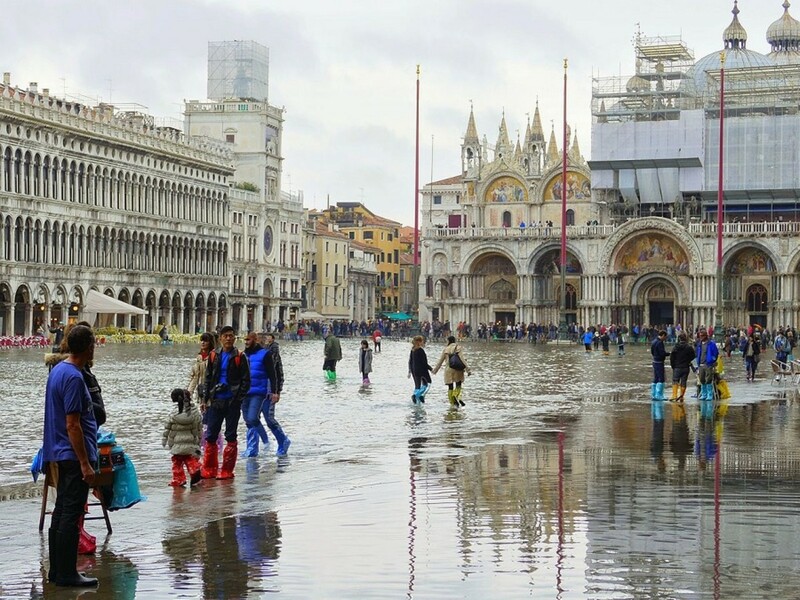 Did you see Venice 3/4 flooded and the Piazza San Marco waist deep in water on the news today. WOW. Anyway, I loved your photos. I think I met Signora Stephania Spagnol in Florence once, several years ago and visited a B&B she and her husband operate just outside Florence. If it was the same person, she is truly a delightful hostess. Voted up and shared.